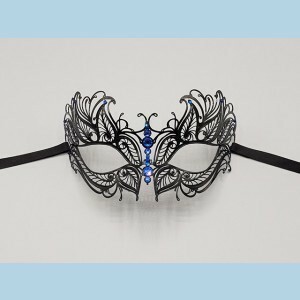 Our filigree party mask for men are brand new in the collection. We have the filigree mask named The Knight. 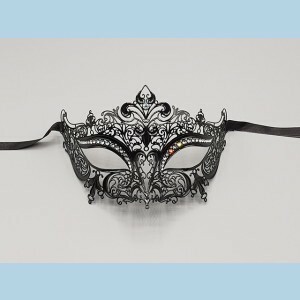 A mask made of filigree has a fine pattern of metal wires. This unique material gives this ball or gala mask an exclusive look. 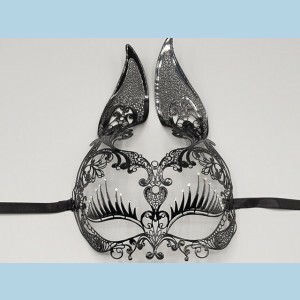 Buy your filigree mask at Maskshopvenice, we guaranty you the highest quality and lowest price. Your filigree mask is made with high class laser- and etching-techniques and because of their flexibility they fit every face. Buying online is fast and secure with, credit card or bank transfer.